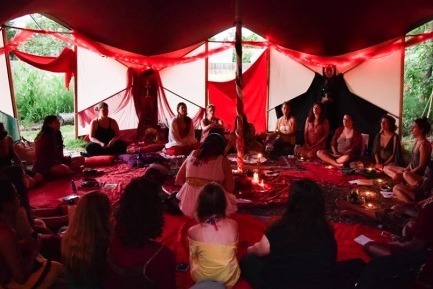 It is my goal at SheWolf Alchemy to provide a traveling Red Tent space for women to sink in and connect with other women. A safe space for menstruating folks to change their menstrual products, instead of a port-o-potty and a quiet sanctuary for nursing mamas and their babes to find shelter and peace at festivals and gatherings. This space is SO needed. I ask you to help me fund the Raising of this Red Tent Space. In doing so you will be helping fund a larger movement of Menstrual + Reproductive Empowerment, Sisterhood, and Sacred Space Holding. You will be helping to create a safe place for women to retreat and find connection and wisdom in the Mysteries of the Feminine. Imagine for a moment you are at a festival and you get your period. There is no space to put in a cup or pad except the port-o-potty under the hot sun. You dread the thought of trying to change it because it just doesn't feel comfortable or sanitary... Or maybe you are experiencing cramps and discomfort and there is no place to rest. Imagine you are a nursing mama and your baby is hungry. Perhaps you want privacy to connect with your babe and nurse her in the shade . Or maybe you just want to connect with other women in a cozy space? This is the Red Tent. This space is needed at ALL gatherings and festivals. This space will also be used for regular Women's gatherings, Red Tents, Moon Circles + so much more! We are hoping to purchase an actual tent so that we can be closer to the earth and ground ourselves in tradition. 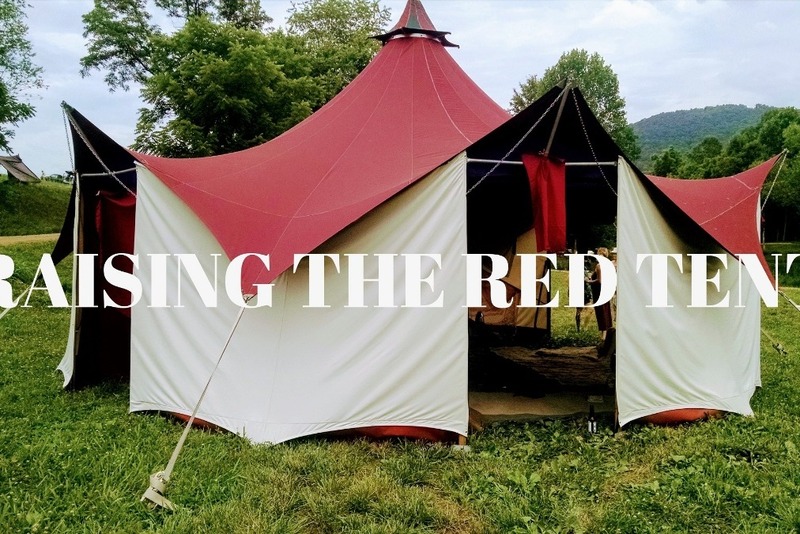 The Red Tent is a safe space to be authentically you. It is a space to come, menstruating or not, for rest, nourishment and support. It is a safe space for cycling folks to change their menstrual products, nurse and comfort their babes and connect. When we enter the Red Tent we leave any shame over our bodies at the door. When we leave the Red Tent, we leave empowered, rejuvenated and reminded of our sacredness. This fundraiser helps to purchase a Tent that is lightweight and breathable and easy for traveling. All your love is appreciated towards manifesting this into reality. 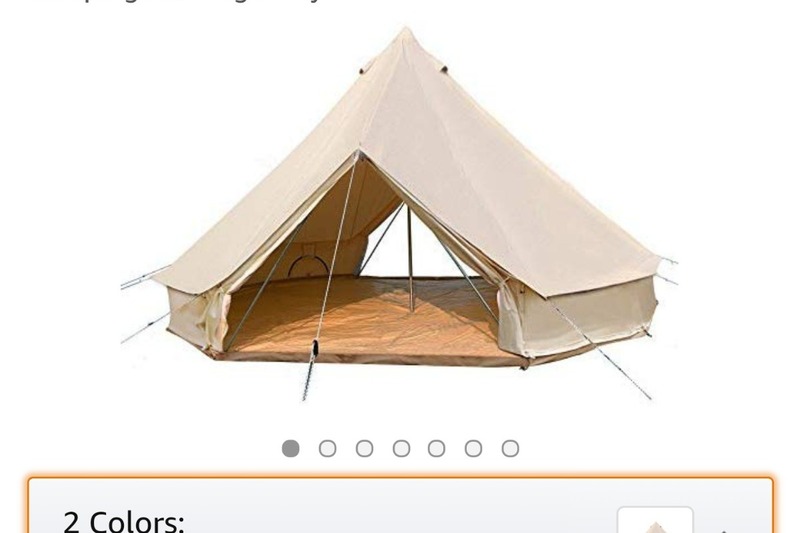 We have found the tent perfect canvas tent to purchase, now all we need is your help to make it happen! 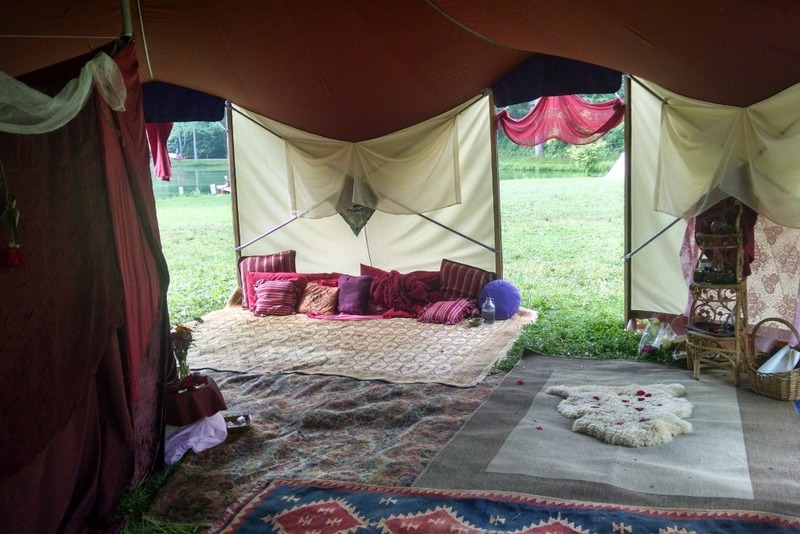 Please consider donating to help raise this beautiful space for future Red Tent Gatherings, Sisterhood circles, Workshops, Classes and gatherings! Help us make this community a reality!